Ohio individual disability matters can be intimidating. Knowledgeable, effective legal representation can make all the difference when trying to claim your insurance disability from insurance companies. Alan C. Olson & Associates, America’s top disability firm, can help. If you need an attorney to help you take on an insurance company in Ohio, contact us today. Our first step is a free insurance policy analysis. We guide you through the disability claims process to secure your disability insurance entitlement. If an appeal is necessary, Alan C. Olson has the knowledge and expertise to guide you through the process. In cases when litigation is necessary we take your case to trial from a position of strength that comes from thorough preparation and many years of experience. Contact us today for a free case evaluation at 888-843-1261. One of the most intimidating aspects of insurance policies is the small print. Insurance policies are filled with dense, hard-to-read language, which insurance companies refer to when denying disability insurance based on some minor detail or loophole within the policy language. At Alan C. Olson & Associates, we cut through the small print. Our experienced group of insurance disability attorneys will find just as much reason in the small print for insurance companies to fulfill their promises. Our team of dedicated, knowledgeable attorneys will work for you to secure your rights in the most efficient, cost-effective way. At Alan C. Olson & Associates, we deal with disability insurance claims everyday against the largest insurance companies. We can get your benefits paid. Our attorneys help disabled people stand up to insurance companies and fight wrongful denials of long-term disability benefits. We have successfully fought denials by numerous national insurers such as UnumProvident companies, Prudential, The Hartford, CAN, Liberty, MetLife, CIGNA, Reliance Standard, and others. We hold insurance companies to their promises and get results for you. Denial of Long Term Disability Insurance (ERISA Benefits) in Ohio happens. When people are notified that their disability claims have been denied, they often panic. They may question whether their claims were actually valid in the first place. They may be angry, knowing that they paid for insurance policies that the insurers are not willing to stand behind. The firm of Alan C. Olson & Associates has successfully battled insurance companies in Ohio and Nationwide, securing benefits for policyholders. Alan C. Olson & Associates is a nationally recognized employment law firm. Alan C. Olson and his team of leading associates have received multiple awards and recognitions reflecting their commitment to excellence and professionalism in the area of employment law. Alan C. Olson & Associates has been awarded the 2013 – 2017 “Superb Rating” Avvo Award for Employment and Employment Benefits Law, the highest achievable ranking. Alan C. Olson & Associates is also the recipient of the Avvo “Clients Choice Award” 2013 – 2017 for outstanding Employment and Employment Benefits Law. 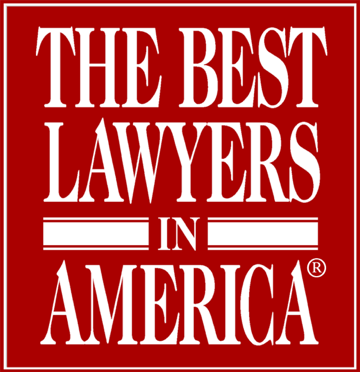 Through a stringent process of peer nomination and evaluation and independent research, Super Lawyers, a highly regarded rating service of outstanding lawyers has recognized and awarded the ‘Outstanding Achievement’ of lawyers at Alan C. Olson & Associates. Call our firm for a free consultation today toll free 888-843-1261 or contact us.